MARINETTE, Wis., Sept. 25, 2017 /PRNewswire/ -- Lockheed Martin (NYSE: LMT) and Fincantieri Marinette Marine delivered the future USS Little Rock (LCS 9) to the U.S. Navy on Sept. 25. The future USS Little Rock, the fifth Freedom-variant LCS built by Lockheed Martin and Fincantieri Marinette Marine, is scheduled to be commissioned in Buffalo later this year. She will be the first U.S. Navy ship to be commissioned next to her decommissioned namesake. 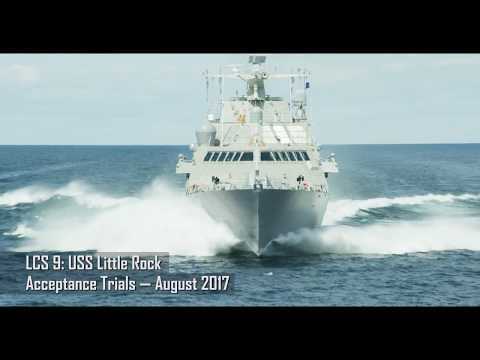 "We look forward to the day the future USS Little Rock joins the fleet. Her superb sea trials performance highlights the success of the production and performance improvements achieved as a result of serial production," said Joe DePietro, vice president of small surface combatants and ship systems. "This milestone would not have been possible without the extraordinary contributions of all Freedom-variant LCS teammates." LCS 9 completed acceptance trials last month with the highest score of any Freedom-variant LCS to date, earning a "clean sweep." During sea trials, the industry team also successfully demonstrated performance improvements, which will be incorporated into all future Freedom-variant Littoral Combat Ships. "Today's important milestone for LCS 9 was made possible by the investment and improvements made to our serial production line, which allowed us to realize our vision for a full flex shipyard," said Jan Allman, FMM president and CEO. "Fincantieri Marinette Marine's shipbuilders are proud to deliver this proven warship, and we look forward to working with the U.S. Navy to continue building these highly capable ships for the fleet." Named in honor of the patriotic and hardworking citizens of Little Rock, LCS 9 will be the second U.S. Navy ship to bear the name of Arkansas' largest city. Her homeport will be Naval Station Mayport, where she'll join USS Milwaukee (LCS 5) and USS Detroit (LCS 7). 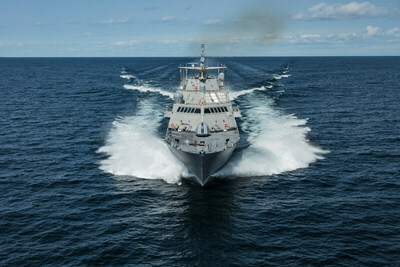 The Lockheed Martin and Fincantieri Marinette Marine team is currently in full-rate production of the Freedom-variant of the LCS, and has delivered five ships to the U.S. Navy to date. There are seven ships in various stages of construction at Fincantieri Marinette Marine, with one more in long-lead production. Founded in 1942, Fincantieri Marinette Marine (FMM) is located on the Menominee River flowage into Green Bay. 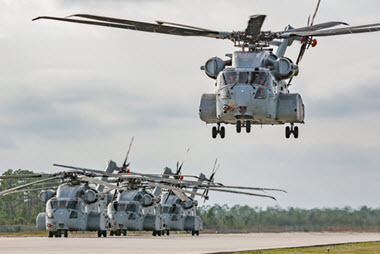 The largest shipyard in the Midwest, FMM has delivered more than 1,300 vessels to the U.S. Navy, U.S. Coast Guard, and commercial customers, including the technologically advanced Littoral Combat Ship Freedom variant for the U.S. Navy. In 2008, FMM along with several sister shipyards also based in the Great Lakes region, became part of Fincantieri, one of the world's largest shipbuilding groups and number one by diversification and innovation, with more than 19,400 employees, of whom more than 8,200 in Italy, 20 shipyards in 4 continents. Fincantieri operates in the United States through its subsidiary Fincantieri Marine Group, serving both civilian and government customers. Over the past five years, Fincantieri invested more than $100 million in both capital infrastructure and its resources to support FMM's transformation into what is now one of the best shipyards in the United States. Employing approximately 1,500 employees, today FMM is a state-of-the-art, full service new construction shipyard.